So far, Apple’s original video content has been the least Apple-style product that Apple has produced in modern times. The few shows that the company has produced have committed a sin that’s even worse than being bad—they’re lame. Well, the company announced today that it’s digging into its bottomless coffers and actually making a major play to compete in the original television arena. According to the Wall Street Journal, Apple has dedicated close to $1 billion to cover spending on the production or acquisition of video content over the next year. 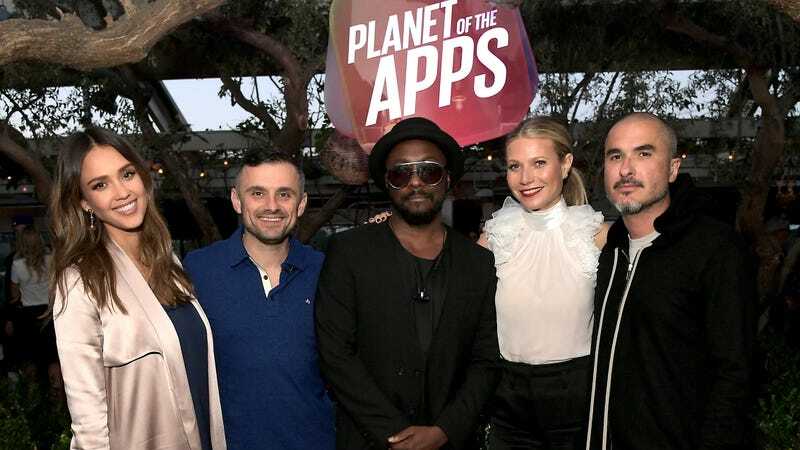 The company’s offerings thus far have consisted of rinky-dink content like Planet of the Apps, an embarrassing game show about apps, and Carpool Karaoke, a five-minute late night skit that was expanded to 20 minutes. These programs barely even qualify as shows. That one billion number indicates that things are about to change dramatically. While the cash is earmarked for video content in general, no specific properties are being named right now. The Wall Street Journal only claims that “Apple could acquire and produce as many as 10 television shows.” Maybe that means 10 TV shows plus some inexpensive indie movies in the vein of Amazon’s Manchester by the Sea. Maybe that means 10 TV shows plus a ton of additional sub-YouTube mini-shows. If Apple is smart, it’ll just blow all the cash on some big budget, high-quality shows and make a name for itself. Amazon first started out with about $1 billion allocated to original content and Netflix started with $2 billion, so Apple’s certainly in their league but playing catch up. Netflix didn’t fool around when it started producing its own content. House of Cards reportedly costs “way above” $4.5 million per episode and it laid down $100 million for the first two seasons. That gave the producers and the audience assurance that it was okay to get invested. It proceeded to earn back that investment through new subscribers in about three months. HBO’s Game of Thrones is spending $100 million for a season and that’s translated into 30 million viewers for this year’s season premiere. Westworld also costs $100 million per season and was the most watched first season in HBO’s history. But as Hollywood has so readily demonstrated in theaters, just spending a lot of money isn’t enough to make a good product. And hit television in the premium market is all about quality. You can ask someone to watch a dumb spectacle for two hours and bet on the eye-popping effects, but good writing is key when you want someone to sit through five seasons of a show. Apple is going to need talent, and it should be willing to throw more money at the best writers than anyone else in the game. At the moment, Jamie Erlicht and Zack Van Amburg, who were previously with Sony, will be leading the video content for Apple. Sony has produced The Crown, Breaking Bad, and Preacher. Maybe these guys have a good eye for picking talent, but they’ll need to choose a visionary and leave them alone. That’s worked out great for Netflix and Amazon. Apple is known for micromanaging every little detail of its products; that’s not going to work when making a good show. When it comes to technology, Apple is pretty much the “coolest” company. It makes products that are easy to use, look slick, and are considered premium. No trend-hopping teen would turn down an iPhone for an Android. Likewise, cool sells Beats headphones even though they’re total garbage. But despite the Dr. Dre association with Beats, the single artist that’s most identified with Apple is Bono and, relatedly, U2. Sorry guys, U2 isn’t cool. U2 is really safe music that doesn’t offend anyone and is great for tie-in charity campaigns. Game of Thrones is controversial, Breaking Bad is controversial, The OA is controversial. Apple’s shows need to have some Edge that isn’t a middle-aged guitarist. Showtime is grabbing new subscribers by throwing its weight behind Twin Peaks, which hasn’t been a ratings monster but fuels buzz. Netflix has mastered the art of coming out of nowhere with something weird like Stranger Things or unexpected like Black Mirror. That’s innovation, which is something Apple does understand. Apple knows it needs to keep its name in the game when it comes to original content. The risk of losing people to rival services and being in a bad bargaining position for the content it offers from others is too great. At the same time, it can’t overplay its hand because it’s making a nice chunk of change by just siphoning 15 percent of subscriptions from services like Hulu, HBO Now, and Netflix when people sign up through the app store. With Netflix pouring $6 billion into content for 2017, it seems like Apple may have found just the right figure to make a name for itself while not rocking the boat too hard.